Lovely Professional Institution is located in the heat of Punjab and offers quality education to the students across the country. The faculty with its experience and knowledge strives to make this institution to be a premier academic institution. Indo Global Colleges was established in the year 2003. It is located in Abhipur village of Mohali District which is 12 km from the state capital of Chandigarh. Indo Global College is one of the renowned colleges in North Indian region and it is affiliated to Punjab Technical University. Thapar Institute of Engineering and Technology is amongst one of India’s oldest and finest educational institutions which creates highly skilled and talented students who can provide the best to the nation. Gulzar Group of Institutes is committed to making things easier, as educating yourself is one of the big decision. They not only educated students but empower them. The academicians develop the knowledge of the students and sharpen the skills as well. Sant Longowal Institute of Engineering and Technology is one of the best polytechnic colleges which was established in the year 1989 by the Ministry of Human Resource and Development. Accepting the new challenge of the new education policy, the institute was always committed to providing the best possible technical education. Dr. B. R. Ambedkar National Institute of Technology was established in the year 1987 as Regional Engineering College. 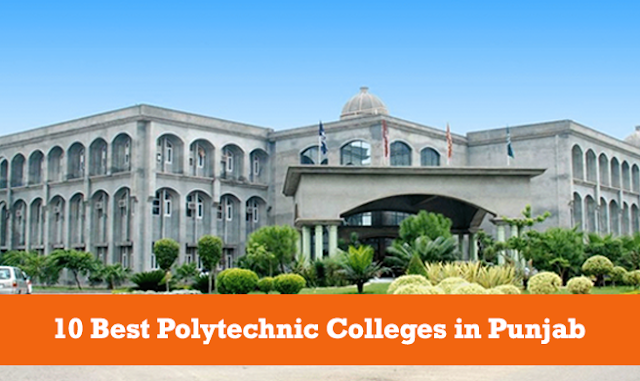 Now it is one of the best colleges in Punjab which offers quality education to the students across the globe. Beant College of Engineering and Technology is located in Gurdaspur. It was established by the Govt. of Punjab in the year 1994. However, the college was inaugurated in the year 1995 by the Chief Minister. Mehr Chand Polytechnic College is located in Jalandhar, Punjab. In the year, 2017, the college was awarded “Best Polytechnic Award” by National Institute of Technical Teachers Training and Research on the occasion of Golden Jubilee Celebrations of the Institution. Rayat Institute of Engineering and Information Technology was established in the year 2001. In the early years of establishment, three B. Tech Programmes were introduced, however, more B. Tech programs were added. Akila Polytechnic College was established in the year 2008 and it is affiliated to Punjab State Board of Technical Education and Industrial Training. Situated at Goniana Jaitu Road Bathinda, Punjab, The Akila Polytechnic College is dedicated to spreading quality education to all the enthusiasts.